Rare is it that the hype lives up to the reality. Take for instance a recent ad showing a fast food chain announcing that they are now selling a “flame grilled hot dog”. Now, I like hot dogs, love them in fact; it’s almost as if I were a hot dog connoisseur. Yes, I know there are all manner of things in a hot dog, some of which could be considered downright scary, but I don’t care, I love hot dogs. A perfect meal is centered around a chilidog, the dog laid on a bed of mustard (preferably brown) and covered with chili, (no beans), and a sprinkling of cheese and onions. In fact if given the choice of spending an evening with my celebrity crush Mila Kunis or having a perfectly prepared chilidog…well okay Mila would win out, but I would ask her if she wanted a chilidog for dinner. That’s why I was so disappointed when, after seeing said ad for a “flame grilled hot dog” I decided to try one. The hype certainly did not live up to the reality. What I got was a piece of, something, it would be hard to call it meat, because it was too hard to be actual meat. It had obviously been sitting under a heat lamp waiting patiently for its release for some time. The point is that the hype of advertising rarely lives up to the reality. The same can be said for cars. Every time I get into a Lexus I look to see if a beautiful model is in the passenger seat, of course we are disappointed, every single time. 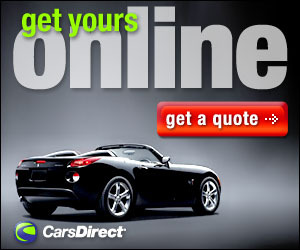 There is one car company however that I can happily report does live up to the hype. That’s because their hype isn’t overstated. Sure, like the others they show their cars in beautiful places that we will never drive (why can’t a car company simply show their car stuck in traffic? 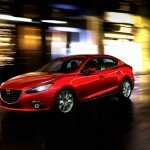 ), but Mazda uses one catch phrase we like: Zoom-Zoom. It turns out it’s true. At the heart of every Mazda is fun driving experience. I like that experience. In fact I like it so much that several years ago I bought a Mazda 3. My 2010 model marked the first of the third generation of Mazda 3 and while mine was bought slightly used with under 10,000 miles on it (that is the best way to buy cars by the way), it has served me well and sits in my driveway this very day. That’s why I was somewhat excited when delivered a 2016 Mazda 3 for a recent week. It marked the first time since I began reviewing cars that we could test something I actually own. Compact sedans are a huge part of the market. They are affordable, and functional. There are many choices, the Focus, the Civic and the Forte to name a few, and our opinion may be a bit biased, but the Mazda 3 leads the way. 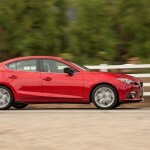 The 2016 Mazda 3 can be had in four-door sedan and hatchback body styles (except for the base 3i Sport which is only a sedan). 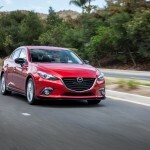 Whether 4-door or hatchback, the Mazda 3 is available in 3i (2.0-liter four-cylinder) and 3s (2.5-liter four-cylinder) models that are available in different trim levels. The base 3i Sport sedan comes standard with a height-adjustable driver seat, cruise control, a 7-inch touchscreen display with knob-based controller, power-folding mirrors a 60/40-split folding rear seat, and a tilt-and-telescoping steering wheel sit atop 16-inch wheels. Inside there is a six-speaker audio system with a USB port, an auxiliary input, HD radio and smartphone-enabled Internet radio with Bluetooth phone and audio connectivity and voice controls. The optional Preferred Equipment will get you heated side mirrors, premium cloth upholstery, a rear-seat armrest, automatic headlights, automatic windshield wipers and a blind-spot monitor with rear cross-traffic alerts atop 16-inch alloy wheels. The rest of the trims can be had in either sedan or hatchback. The 3i Touring adds foglights, a sunroof, a rear lip spoiler (on the sedan), keyless ignition and entry and a leather-wrapped steering wheel. The optional Popular Equipment package adds dual-zone automatic climate control, an auto-dimming rearview mirror, a CD player, satellite radio and a premium nine-speaker Bose surround-sound audio system. The 3i Grand Touring adds a six-way power driver seat (with manual lumbar adjustment), heated front seats, leatherette (premium vinyl) upholstery and a navigation system to the Popular Equipment package. The 3s Touring adds all that along with the more powerful engine, 18-inch wheels, a gloss-black grille insert, a digital speedometer, a head-up display and steering-wheel-mounted paddle shifters. The top of the line 3s Grand Touring has adaptive xenon headlights, LED taillights and daytime running lights, an auto-dimming rearview mirror and full leather upholstery. The Technology package includes the i-Eloop regenerative braking system, active grille shutters, a forward collision warning and mitigation system, a lane-departure warning system, automatic high-beam headlight control and adaptive cruise control. My tester for the week was the 3i Grand Touring sedan. In addition to the more sleek looking body in comparison to my 2010 model, praise be to the automotive gods our tester had a six speed manual transmission. This is something that is becoming increasingly rare and something we were glad to see. 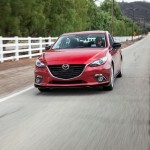 For the 2016 Mazda 3, the SV trim level has been dropped which makes the 3i Sport trim is now the base model. 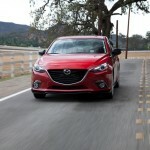 There are also more standard features this year, such as a rearview camera on every Mazda 3. Meanwhile automatic headlights, automatic wipers and a sunroof are standard on trim levels above the Sport. The interior of the 2016 Mazda 3 is certainly different than our 2010 model. The interior of our tester featured a great deal of black, which here in Florida might be problematic during the long hot summers. 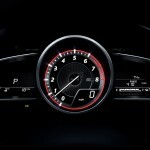 The gauges however were easy to read and the configurable screen in the center allowed us to see a digital speed readout which is always nice. 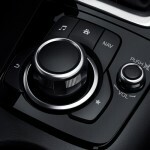 The 7-inch touchscreen does seem a bit out of place jutting out of the dash above the center stack, but it is easy to control via touch or the center control. On the road we had somewhat of an epiphany however. The 2016 Mazda 3 really is fun to drive. It made us realize with our 2010 model was fun to drive as well. Sure the electronics on our 2010 are a bit outdated and it’s shown its wear as it nears 100,000 miles, but indeed it still does “zoom-zoom”. 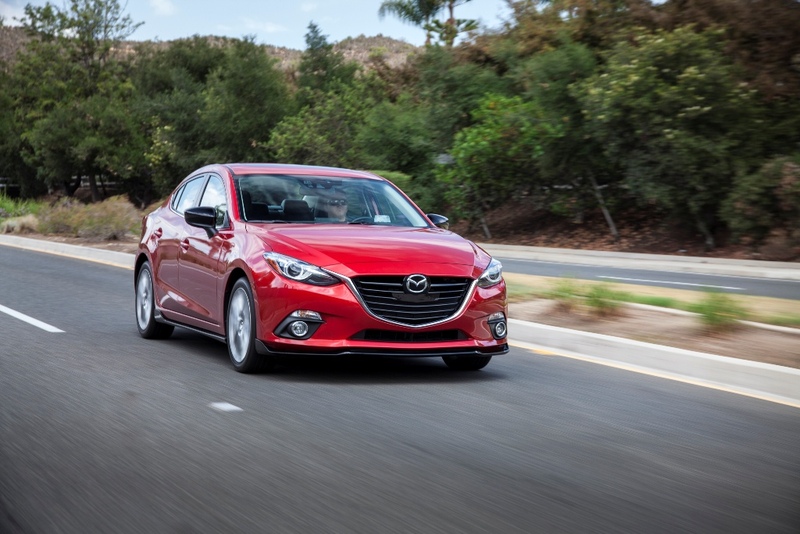 The 2016 Mazda 3 lives up to the hype. 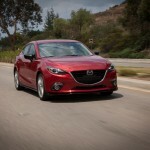 It really does “zoom-zoom” as does our 2010 model and the other Mazda’s we have driven. 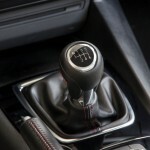 The six-speed manual only adds to this fun. On the road our 2016 hugged the curves and had more than enough power to zip through traffic. 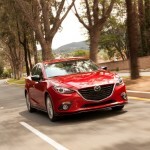 At the end of the day, the Mazda 3 is a winner in our books. You can get a great looking car with a lot of features; a car that has been proven reliable with good resale value for well under $25,000. That’s something that not every car on the road today can claim. We liked it, as we like the 2010 model we own, and for those looking for a good car that don’t want to spend a lot on money, the 2016 Mazda 3 should be at the top of your list. Just remember never to try a hot dog at any fast food joint, no matter what they say.